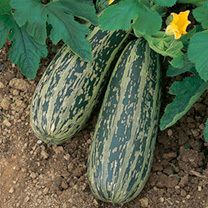 Sow Marrow seeds singly in 7.5cm (3") pots under glass in early April and plant outdoors in late may. 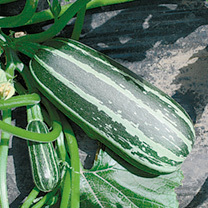 Alternatively sow outdoors in late May or early June where the plants are to grow. To assist early cropping when insects may be scarce, remove the petals from a male flower and gently insert the core into a female flower, using a different male flower each time.